Next the beatles tribute event is on 3/31(Sun)! So the opening time is a bit earlier than usual, 4PM/5PM(open/start). 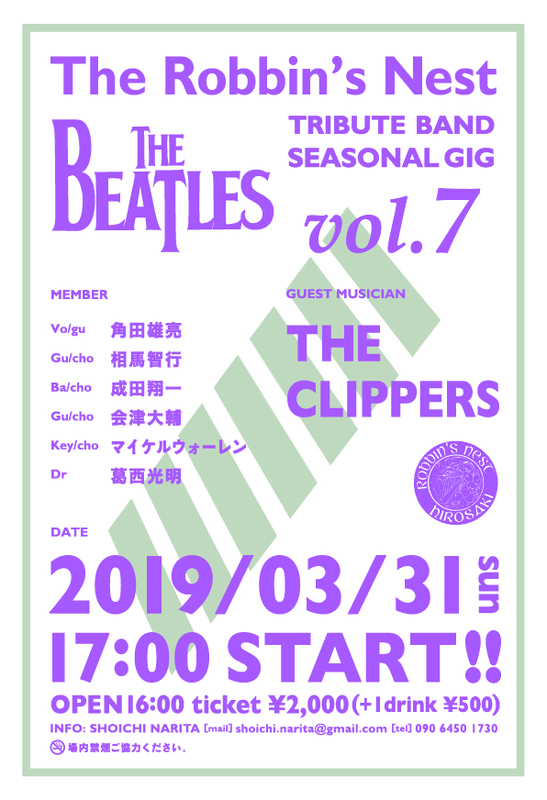 The guest band is from Aomori city, THE CLIPPERS. Let us know if you can come since its tickets are limited to 60!